I can assure you they do NOT work...…………..
How many do you have? to tell me that they do? And can you supply a video please? I will say this again, it does not matter how many ECM you have there, you only need ONE, i say this again ONE to counter those missile. Missiles from 5xMSC driven in group will get all of their missiles splashed out. In this video, i have 2xECM in my base, attacker has low projectile speed on hes MSC. I hope this video answers some of your questions, if it does not... Do your own tests and make a video of them. All you need is 2xMSC ships with different projectile speeds on them and you should be able to see the difference very easily. and we can show video after video of the ECMs pointing the opposite direction of the attacker.. Not turning to fire at any projectiles.. 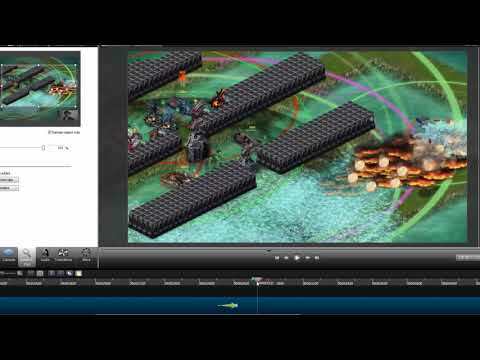 Please give us a link to video, where is 2 different MSC ships with different projectile speed on them against ECM turret. You can say what ever you want, but if you can not prove anything, it is totally waste of time for you to post anything. Yes, i know there is situations that will make ECM turrets and all other anti-missiles to fail, and i also know why it is happening. You in other hand just do not get it, or you choose not to get it. I know it is easy to yell out it is bugged... I would love to see the forums if those ECM turrets would shoot down 95-100% from incoming missiles. There are very few ppl who are on your side of the isle when it comes to the ECM turret, that should tell you something right there. you " think you know " why it stops working, well then you are one of the better minds in the game I guess. Cause **** near everybody I talk to says it is bugged. but that fine claim it ain't bugged, everyone else knows it is. Edit: projectile speed has been tested and debunked as the cause mths ago. So... again, you failed to provide any kind of proof to back your writings. Please stop trolling this, you are just too thick headed to understand it. Take a few days off, think about what information i have provided. 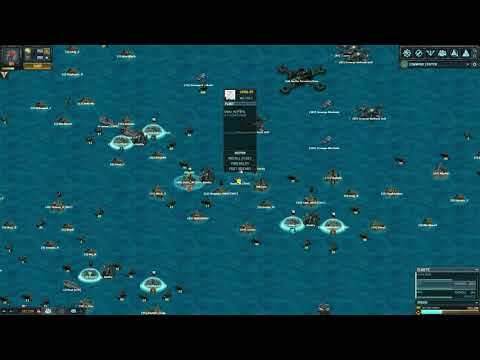 I can also make a video of missiles getting shot down from 95+ range, because the fly time for missiles is over 1.1seconds. When that MSC moves closer, the fly time of those missiles drops to 1.1seconds and the counters stop working. Also, when the MSC drives RIGHT NEXT to target what it is shooting at, the fly time for missiles stays at the same 1.1second what it is from range of 95. Search the forums.. There are video after video of this subject.. It serves no purpose to relink said videos here. but sure, you are the ONLY one in the game that knows how they are working and everyone else are too thick headed to understand it. I have seen videos post here from 95+ range away and nothing gets shot down. This has nothing to do with range or projectile speed. but you know better then **** near everyone in the game saying they are broken. My % ECMs do not shoot down D55X missiles, what more can I say? Again, that does not prove anything. I have said many times, that there are situations that can be achieved where missiles do not get countered. You can say that same thing over and over again, but do your own test with 2 different MSC and video it. Then post it here so you have something to back you up. Like your ECM, my own ECM also stops shooting when good MSC fleet comes in. I just hit several bases with my MSC with 0% projectile speed bonus on it, and i was getting countered in most bases. 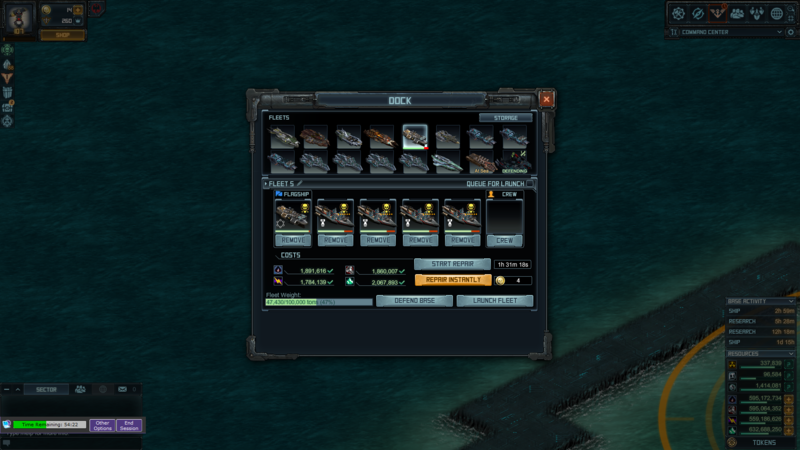 There was some crappy ECM turrets, that i was able to land my missiles. But when i entered a base with good anti's there, i had trouble of killing a fcking Oil rig sitting right next to it because my missile were countered. Then i drove in 100% projectile speed bonus MSC and it was killing stuff much easier, still getting countered on some bases. Don't worry, i will make videos of these hits when i have done enough testing. But with these few tests all ready, i can easily say anti's are working just fine against MSC with 55-x missiles, when MSC have none or low projectile speed bonus on them. rebalancing, no, it is making the bases unprotectable from a group of favorite players. Did this start during the last raid? Auto 111 with IB fleet went from under 25 minute repair to over 8 hour repair. Great job with the balance adjustment Kix! Looks like I will be doing something else with my time until this lousy fix is itself fixed. Well, after my first experience hitting targets in Forsaken Mission after your so-called "fix" , I can say that I thoroughly despise what you have done and it most definitely does not make my Battle Pirates experience better. Increased frustration and sucking the fun out even further than before seems a more apt description. This "bug fix" is making my chore fleets take way more damage than before, way to put players first. I don't mind the conq antis because bases are being nerfed as well but chore fleets? improving the experience MY **** !!!! I'm so sick of this Ironbreakes took 11 minutes now they do 4h22 in a 111 and this you call improving? Do you really think I'm going to refit them for a 6th or a 7th time ? You so wrong !!!!!! We have updated the 112, 111, 103, 82 FM Targets to bring them more inline with your previous experience. That's it! I am done. I usually don't make any announcements when i leave a game , but in this case i ll make am exception because i've been playing this game for a very long time. I took a "break" from it in the past, but this time is final. I struggled a lot to play the game and to cover all the lost time, and I did limit my self on playing only in the PvE aspect of it, persuading myself that it was for fun, but after the current changes in FM, i am sorry, but i can no longer go on. It never was easy for a non coiner to survive in this game (but don't say i didn't buy anything... cause i did bought that fully ranked fleet of Fury's which gave me the ability to get uranium, more than i could think of, until you f##### me with the new changes of the drac bases)... and now this, bug "fixing" on weps and countermeasures.. Thank you Kixeye for all the good times. IxDEADxMANxI aka Nik from sector 89 signing out. Have fun and good hunting to all of you Pirates. P.S. A big big thanks to the people of TFC whose guidance kept this pirate sailing in the seas for a little while longer. I AM JUST A LONELY LONELY PIRATE HAVING FUN. Are you aware of the damage still being taken by IB Fleets? No? I'm not surprised. Yes? But I bet you'll let it sink into the players till they coin a whole lot then come in and say "we understand blah blah blah" and attempt to fix it and mess something else up. Who ever is in charge of this game now is making a whole load of mess out of it and clearly not one of you all has the authority to fix it. I noticed right away that a large number of cold snaps are getting through and causing damage. Wasn't case before. and what of my 10 hour repair , loss of contest point accumulation time ??????? The team is still monitoring the FM targets, and in the processing of making additional adjustments to the 111. Thank you for your continued feedback. The changes to the 111s are now live. 46minutes is a far cry from the 15 seconds i was taking before the update. You need to adjust it much more to keep the experience the same. Everyone told you to not screw this up and guess what you did. Fix it fast or even more players will be leaving. You also need to look at all of the TLCs you released as all of the ones with rhinos have the flak evade pumped up so high that 99% of missiles are getting through. can we put these one shot countermeasure on Airforce 1?